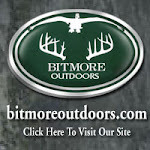 BitmoreOutdoors: DON'T WORRY ABOUT WHAT YOU CAN'T CONTROL!!!!! DON'T WORRY ABOUT WHAT YOU CAN'T CONTROL!!!!! More hunters are trying to exercise solid QDM principles and harvest does and pass up young bucks. 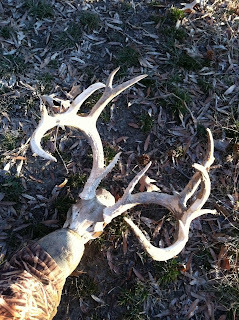 Afterall we all have dreams of killing mature bucks that carry an incredible set of antlers. While you can do your best to protect younger deer there are still deer that will die that you were hoping to hunt the following season. Each season we find dead deer that die for unknown reasons. Some die of natural causes and others are killed by predators, hit by cars or killed by hunters on adjoining properties. The reasons may vary but there is one thing that stays the same.... You have little or no control over those factors and therefore should not let them affect whether you decide to release an arrow or pull the trigger. The one thing that is for certain is that if you shoot him he will not make it to the next season! The other thing that we have learned is that once a deer reaches 3 1/2 or older they start to become extremely nocturnal and will only be seen in hunting situations a few times each year. So chances are good that if you pass him there is a good chance that he will slip through to the next season! Once your group decides on a management program do your best to follow the criteria you set. Use all the tools in your arsenal to make that decision easier and to identify the deer so that when he shows up you already know if he is a shooter. In particular use trail camera photos, shed antlers and the video you might have from the prior season to help you make an informed decision. Each year we try to gather trail camera photos and look at the deers body size and shape to determine whether the deer is old enough to harvest. However that still does not make it easy and you can still make mistakes. On several occassions we have identified deer that appear to meet our requirements but once they were harvested we decided that maybe we could have passed them one more season. That is okay though.... If you get it right 80% of the time you will still be way ahead of the game. There will still be plenty of bucks that make it through until the next seaon and you will have a blast chasing them! There is nothing more gratifying then when the plan comes together and one club members harvests a deer that you were targeting. Everyone in the club should feel a huge sense of accomplishment. At one point or another he was probably passed by each member in the club probably and that allowed him to reach maturity. So be happy for your club member and stick with the program. It will be your turn the next time around! 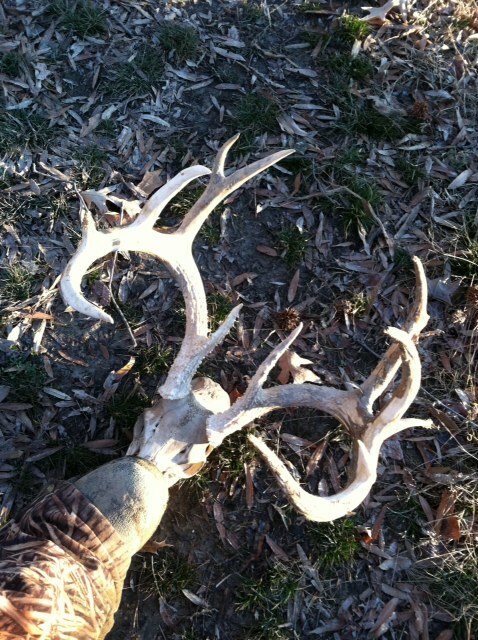 Take a look at one of the deer we found dead this season. Brendan had velvet footage of him in early fall when he was traveling with a buck that Jake killed during the rut. They were both incredible bucks and we all were hoping that he made it through and that we would be hunting him next season. Matt found him dead while goose hunting and it appears that he died while he was still in velvet. It is unfortunate but we are not discouraged... We will stick with our plan knowing that there will be another buck to fill the void!